League of Legends Archives - World of Warcraft Legion | Mythic guides, Class reviews, various tips. Top Lane – is the favorite lane for tanks, warriors and duelists. This is a long lane, where all that champions could show what they are capable of. Depends on the champ role, the goal of the top laner could be various. The more about top laners you could learn from elo boosters. If the tank will win the top lane it will give him an opportunity to quickly join the team in the teamfights, to became the frontliner in all future attacks. Duelist will push the lane, dividing an enemy, creating space for other core roles in your team. If you don’t like the tension of the mid lane, if you are rejected by dependence on your partner on the bot, if you want a quiet farm phase, but want to benefit the team in the long term, then the top lane is for you. Tanks in LoL are the only frontliners of the team. Your main task, playing in this role, to tack as much vitality, as you can. To earn this goal you need gold, but tanks couldn’t earn gold for killing enemies. So CS is the only way. Tanks divided by 2 subclasses: aggressive stormtroopers and full-time tanks. The first one, that initiates all fights and trying to catch enemies with their abilities. They must have enough health to survive the first abilities from an enemy. While the second ones prevent this damage and have a great CC to zone enemies. Maokai has long been an example of an ideal tank that can suit any team in any situation. His abilities allow him to inflict enough damage on his opponent, which makes his farm phase on the line quite strong. He can farm minions at the same time and annoy the enemy. But what makes the fight against him even more frustrating is the passive ability that allows him to replenish his health, and with the help of Courage of the Colossus, his entire control activates his shield. Maokai is also very strong in team fights, as his ultimate capable of catching and immobilizing the entire enemy team. Maplhite is a formidable weapon against teams in which all characters deal physical damage. The fact is that he passively receives additional armor from his skill, which also gains damage from armor. With only a couple of simple items, he is able to dominate the solo against such an opposing team. Favorite items from experienced players for Maplhite are the Sunfire Cape, Iceborn Gauntlet and Thornmail. Nautilus does less damage than Maokai and Malfit, and his survival rate is also lower, but he compensates for all this with one simple fact: he has the greatest amount of control in the game. To be more precise, its four types: immobilization, attracting, slowing down and tossing. Due to this, Nautilus has the highest factor in gank assist (the value of how much a character on the line can help a forester who is ganking him to kill an opponent). In team battles, the Nautilus master creates a numerical advantage: if his hook catches a rival, that rival is dead. Warriors are the most numerous class in the game, and they are divided into two categories. Juggernauts are killing machines that laugh at the expression “alone in the field is not a warrior.” Awesome, menacing and dangerous, they can inflict an incredible amount of damage on one, three, even five enemies, before the enemy can overwhelm these “raid bosses”. They have less survivability than tanks, but it is more difficult to kill them more often, therefore not everyone is able to survive their response. The main problem of this class is the lack of mobility, and many characters are able to kite them (kiting – a constant retreat from the enemy, combined with the incessant attack). The most popular juggernaut is, no doubt, Darius. It is the quintessence of all the pros and cons of the subclass. There are almost no characters in the game who, under equal conditions, can defeat Darius in a protracted fight. 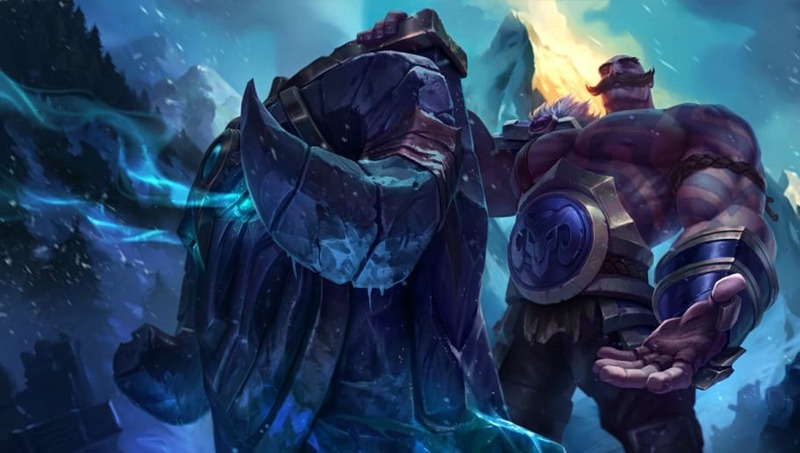 Auto attack and Darius skills impose stacks of bleeding on the enemy, and when he reaches five stacks, he gains the effect of Noxus Might, which gives him a tremendous increase in physical strength. This effect is also activated if he kills an enemy with his ultimate. Only a stupid person will fight him at this moment since his auto attacks impose five stacks of bleeding at once, and his skills are torn off by half the health scale at a time. The second subclass of warriors is divers. The name speaks for itself: their main goal is to “dive” into the opposing team and, bypassing the front liners, get to the carry. There are a great many ways to achieve this goal: throwing enemies along your path, jogging or jumping over them, falling from the sky behind their backs, emergence from invisibility and so on. What they will do to get to it depends on the character, but most will simply try to kill her. Vitality and damage to them, most often, only enough for this. Representatives of the fighter subclass – duelists also go to the top. The main, primary and only goal is splitpush. Splitpush is the separation of pressure points on the enemy: while the team imposes short fights, the duelist at this time is pushing his line and attacking enemy buildings. The strength of the duelists lies in the fact that they, in fact, are strong in 1 on 1 fights, and decisive actions should be taken against them, and not rely on the fact that one person will be able to keep them. Recently Riot Games answered on a few question in Reddit, and here is the most interesting of them. If you liked what you read here, I will write more about LoL. Share your opinion in the commentary section. Why Riots still think that this Galio is same as old one? Where they put old Galio? Champions may be changed by various conditions: champion have a low pick rate, they badly fit in the new conditions of League of Legends, Their abilities are just unbalanced in the core mechanic, and etc. First two problems is a Galio’s problems. Riot want to fix them without upsetting the players that really love the old Galio and this was a really hard challenge for a team Riot. The thing is – there is no one perfect and special formula, that allows seeing the abilities that Riot needs to rebalance. Developers just thinking about all pros and cons and listen to the player’s reviews of the champion. Community’s opinion is the strongest factor. Riot do not have anything untouchable in the League of Legends world, so they decided that Galio needed to be reworked. Maybe this step upset some of the players and they want to everything stay untouched, but this is impossible. The Game is enhancing and this is an important aspect. The story just can not move forward if Riots will break all logic chains and make uninteresting plot twists. But the community’s atmosphere is another important aspect of LoL, and Riot needs to balance on these 2 sides. Sometimes Riots just need to remake a champion to make it better, to increase his pick rate. Let’s take Galio as an example, “Mana devouring flying stone creature that will protect Demacia, who is not averse to play tricks of the enemy“. He has other great sides but Riot loved these and decided to leave them untouchable. His history was changed a lot, but the anguish and sense of duty, characteristic of the early Galio, remained intact. Why did you decide to rework Galio so hard? Aatrox seems to get lesser changes. Galio was a really weak champion, on both sides – in-game mechanic, and in visuals. But Aatrox was a great champion that has issues in the mechanic balance but has perfect visuals, that are loved by many. Riots have plans on reworking champions that are weak on the both sides and almost done their work. What may Galio’s ultimate look like? At the early stages of the production, Riot thinking about passive ultimate ability, like gaining him an ability to crawl on the towers and increasing range and power of his abilities. Is the bond between Poppy and Galio disappeared? Oh no, Riot even does not think about this opportunity. They still thinking about how to create a bond between these 2 champions. Galio as a support? You think that this is a good idea? Well, Galio is fit in the support role more than Shen, but less than Nautilus. 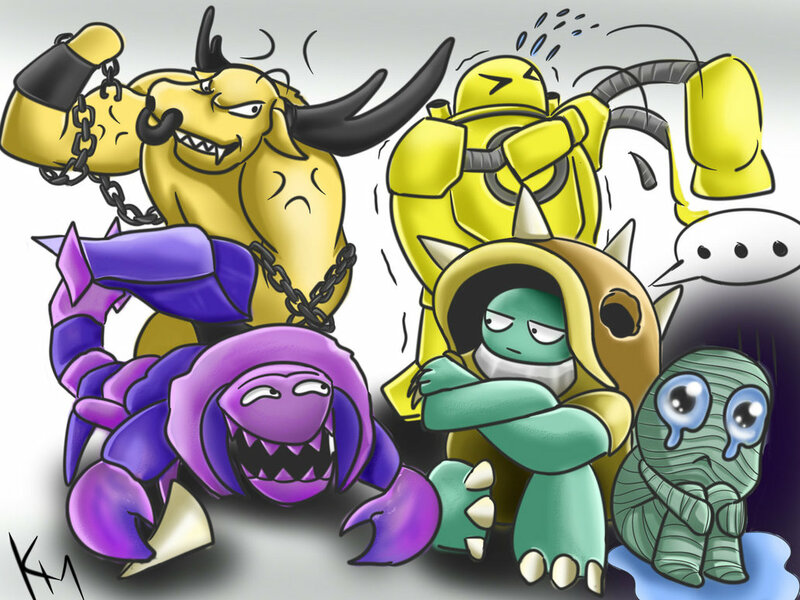 Riots still thinking that Galio’s main role in League of Legends is Tank, that needs a lot of gold and EXP. But if Galio support does not break the game on the lane, then everything seems ok to Riots. We will see the answers in future. Why is he so white? Can you make him a little brighter? 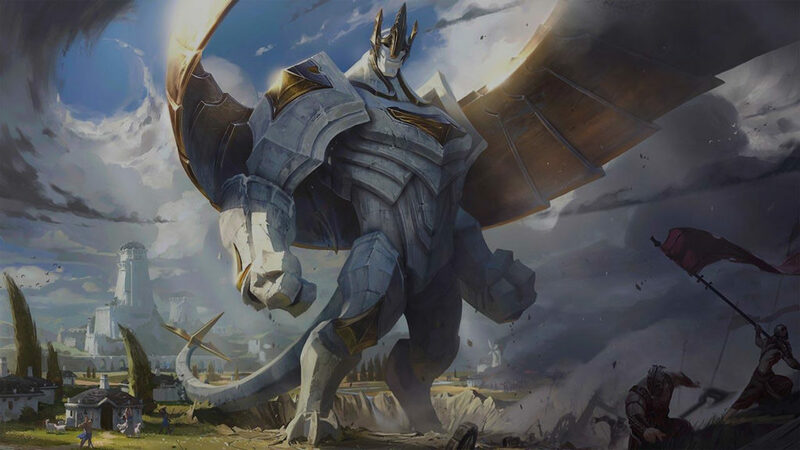 It is easy – new Galio was made from materials, that are usual for the Demacia’s style, and in the LoL’s Lore was mentioned that this material was used because of its anti-magical properties. 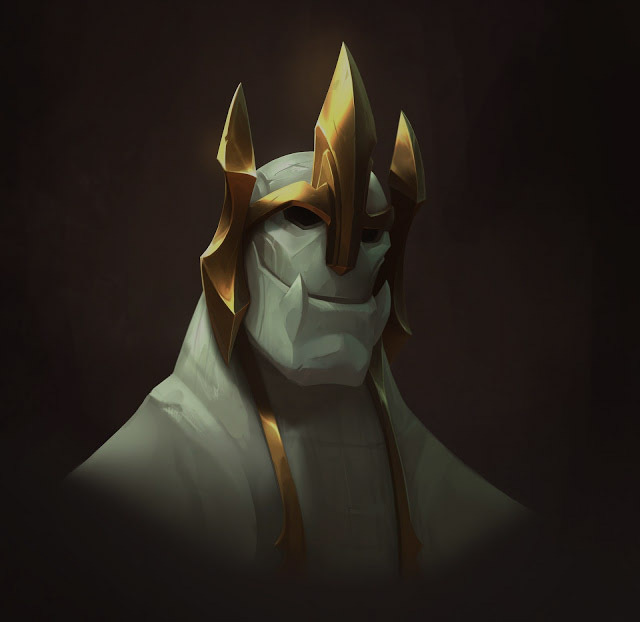 By the way, new Demacian’s Architectures are preferred minimal style and this why Galio looks like another gargoyle. How Galio connected with other champions of the Royal Demacian Guard, like Garren, Lux of Fiora? Galio’s duty – to protect these peoples, and he made his work great, but sometimes may look silly. He understands that human life is just a moment for such creature as him, but he still loves and protects them. To answer this question i’ll use World of Warcraft as example. To earn or just to see hi-end content you need to practically live in the game. Just image all these powers that players throw in the game to reach their goals, such as clear 10/1o Mythic Nighthold or to earn 2300 rating at the Arena. And here is the real problem to any casual player appear. You just do not have enough time, but you want a new title, or have a hi-end gear in all slots, but you just cant do it by your powers. And here Boosting services comes to help you. For a small fee they will share their experience, gear, titles with you. You will see the all raid content, get all mythic achievements. So if you really want to see mythic raid or to have top gear, but you do not have enough time or skill, just order a boost. Social Proof – Reliable boosting company just must share it’s results, show all reviews or have a great review from a some really popular man. Moder design – Yeah this may sound strange, but as all we know “Good clothes open all doors.” so a good Boosting website must have a nice design. Professional boosters – Well this is most important part of all. It will be cool if they have an open portfolio of all available boosters. Moneyback guarantee – If this boosting service is ready to confirm a 100% money back, then they have a respect for it’s customers. Fast support – We are working with the real money, and to prevent any mistakes any reliable boosting service must have a fast support service, that can answer all you questions in a 1-10 minutes. Personal Area – We are living in 2017, so personal area now is a common thing. If the do not created it for it’s customers, then just go to the their competitors. So that’s all important options that every Boosting company must have. Let’s highlight the most popular of them and check their Pros and Cons. After placing an order they will contact with you via skype in a several hours, to verify your information and payment details. 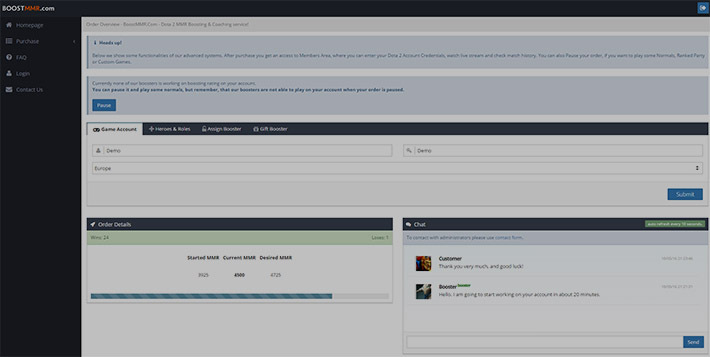 You will see all info about your boost and also receive a notification when the boosting is over. BuyBoost have incredible resources that allows them to complete orders very quickly, so your order will be done as fast as possible. If BB do not sure that they can complete this service in a short period of time, then they even will not try to sell it. Can i watch at the boosting process? Of course you can, if the boosters pc or internet is good enough for the live streaming. But remember that BB do not makes promises that they could not keep, and they do not promise live stream of your boosting. This depends all on your booster. 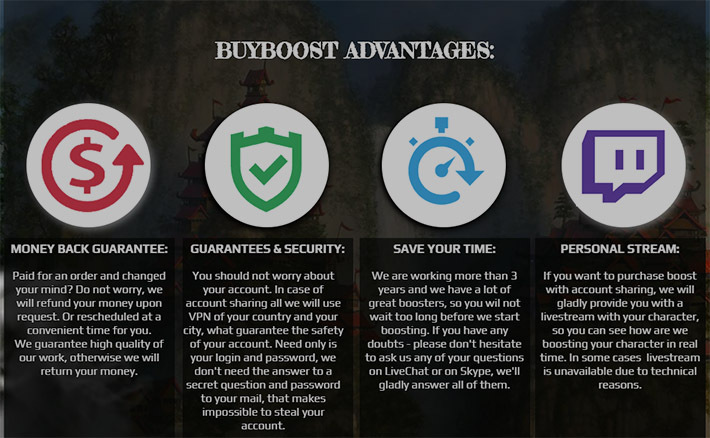 BuyBoost accept Paypal, Skrill, Western Union, Webmoney, QIWI but do not accept gold, so bring only a real money for a boosting services. Also it may be important for somebody: You do not have to transfer for ANY of the services. This time we have the most popular moba game – League of Legends, so what company is the best in this sphere? The most reliable company – Elo Boosters. They always invested a great efforts and recources in this project to make it best among competitors. 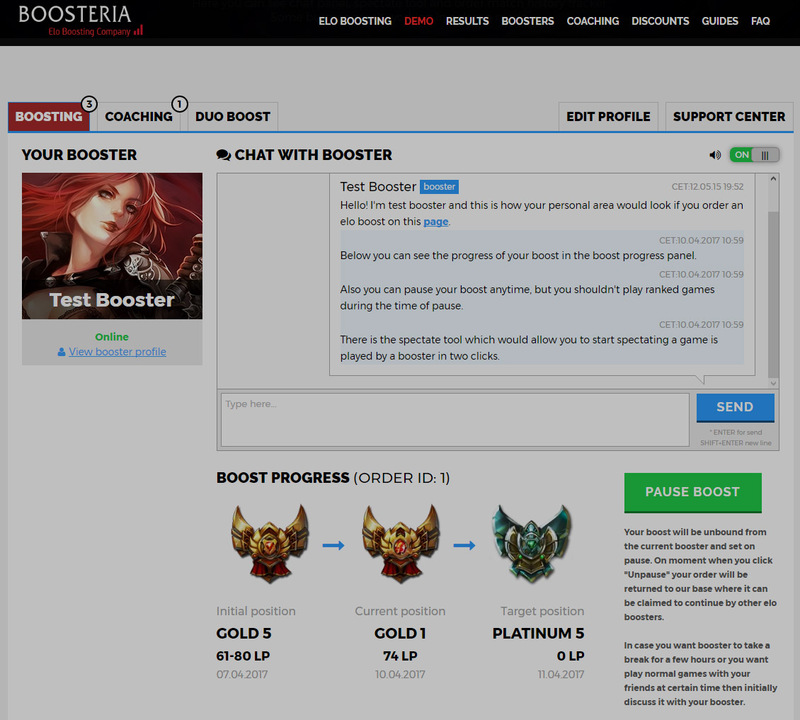 Every booster is a professional LoL player and have a own profile, where you can look at their stat, rank or user information. Also they have a cool personal area, where you can track all your orders, start a conversation with a booster or just to pause your order completion to play by yourself. Challenger Players as Boosters – Only best of the best players in League of Legends works here. Minimum requirements for applicant for position in the booster roster – Diamon 1 or any higher. Manners of boosters – Your account will never get banned by the tribunal so do not even worry about it. Great support center – Boosteria have a great peoples in the support center and always here to answer on all your question. Friendly, fast and customer oriented, they are always here to help. Order completion speed – The faster your order will be completed, the happier you will be, so Boosteria do whatever they can to increase order completion speed. Boosteria company always care about safety of the customer’s account, and they hire only people who were not suspended by the tribunal. If you thinking about working in Boosteria than you need to have Diamond 1 or any higher Elo rank, need to play 6-10 hours per day to be able to push one division per day. Boosteria always try to keep their prices 20% lower than the most other boosting services and bring discounts on different services. So if you want to buy cheap lol boosting, now you know where to go. 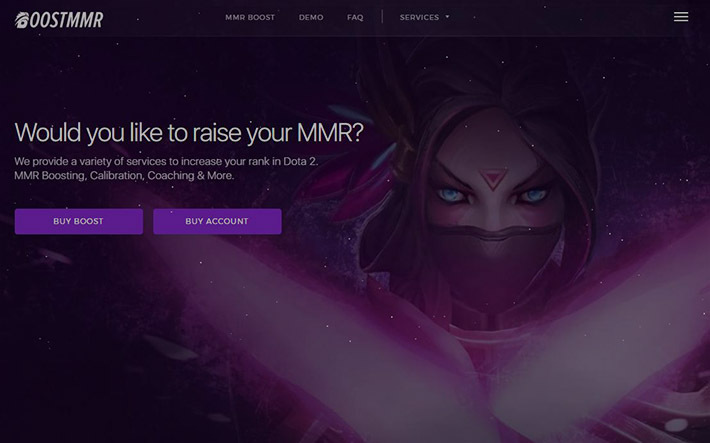 Dota 2 boosting service Boostmmr is the one of the oldest companies in the boosting market. They are team of the experienced high-rank Dota 2 players, that are here to save you a lot of time. They provide their experience to boost your account in the Dota2. You just pay for an order, give to them username and password and they boost your account as high, as you want. BoostMMR have only 6200 MMR+ boosters and they have a good motivation to deliver your order at the highest possible standarts. If you afraid for you items or just for your account, then don’t. Their reputation is more important than any of your items. Also Valve’s have a great security system and anybody just can not do anything with your account if it is protected with Steam Guard. Of course this is not necessary, but if you still have some doubts, just enable all possible protection options and nobody can do anything with your account. Calibration matches – If you just started playing Dota 2 then you need to play 10 Calibration matches to reach some MMR. If you afraid that you will be calibrated extremely low, then just order this option. MMR Boost – typical boosting option, if you thinking that your in some hell, all your teammates are retarded, then just order a MMR boost and break through this hell. Buy account – Sometimes it will be a lot easier to just buy a high-mmr account, than to boost yourself up, so just check carefully before order a boost. Low Priority removal – Sometimes you just can not control yourself and receive a low priority from the dota 2 community. And this is just a hell to play through this games, so you can just order a LP removal and play normal games. Have you ever dreamed about playing at the really high bracket, but you just can not make it happen due to the lack of time. BoostMMR can help you with this dream: Their professional player will log into your account and play on it until you reach a desired MMR. BoostMMR have a Member area, where you can watch your boosting online via live streaming, check matches history and more! Also do not afraid that you will be suspected in the boosting among your friends. Boosters always play in the “appear as offline” status, and nobody will know that you are boosting. If you still have some questions, you can ask them in the Support center, where all your problemms will be solved in a moment.